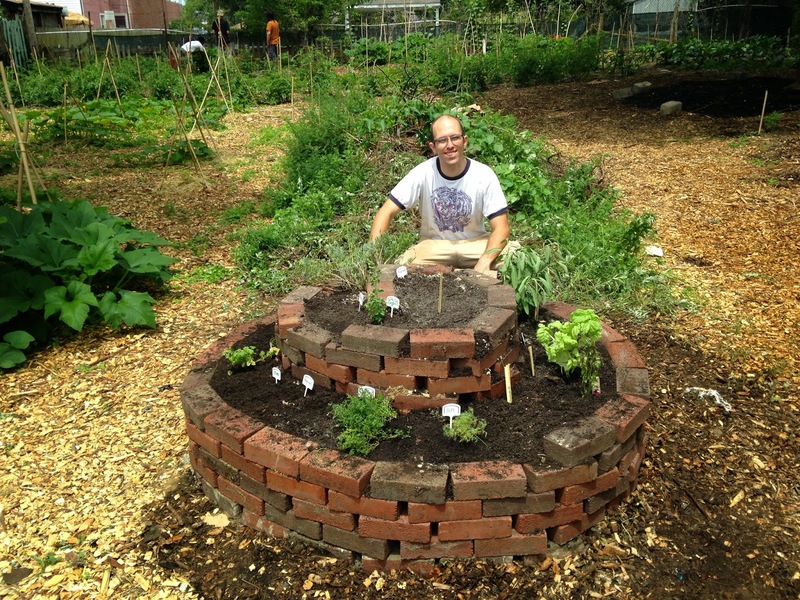 Some permaculturists hate on herb spirals for being an over-used technique that doesn’t fully encompass what permaculture represents. I think that’s hogwash. 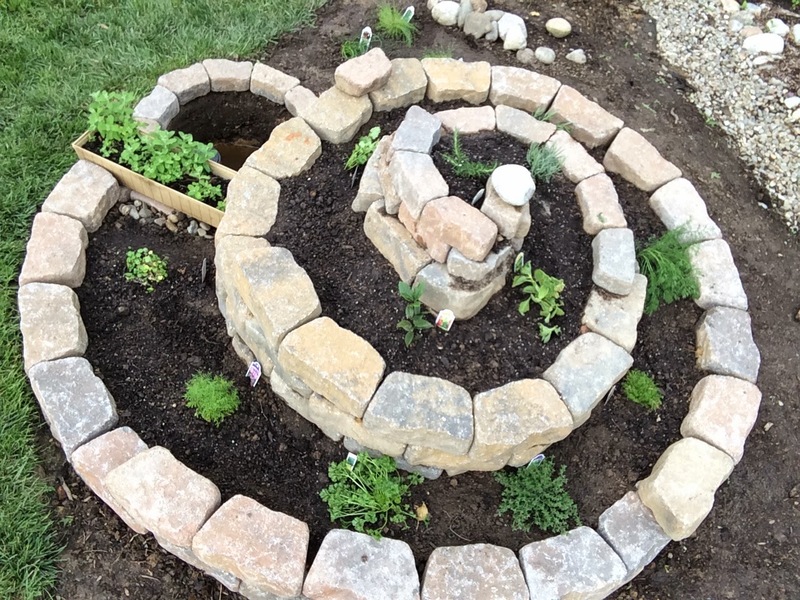 Herb Spirals are a really elegant design for maximizing garden space and creating an interesting landscape feature in the process. 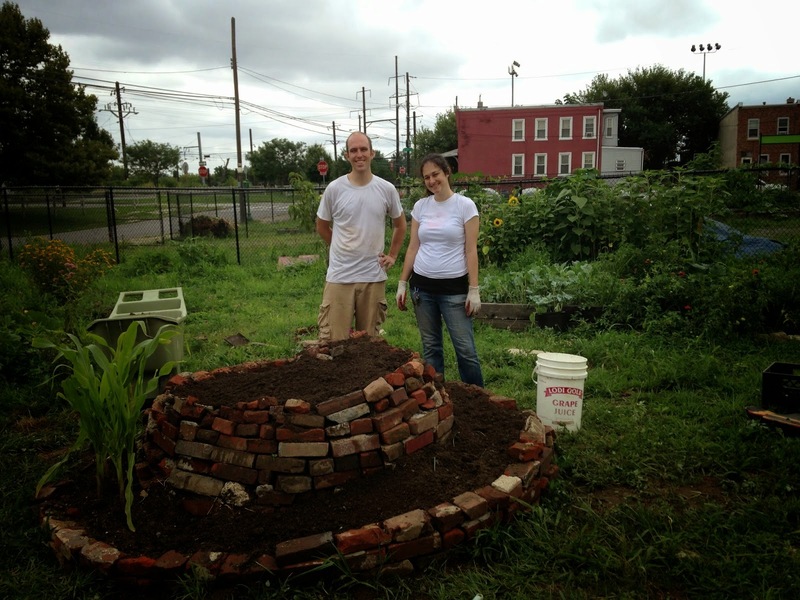 They’re also a great way to introduce people to gardening and permaculture. 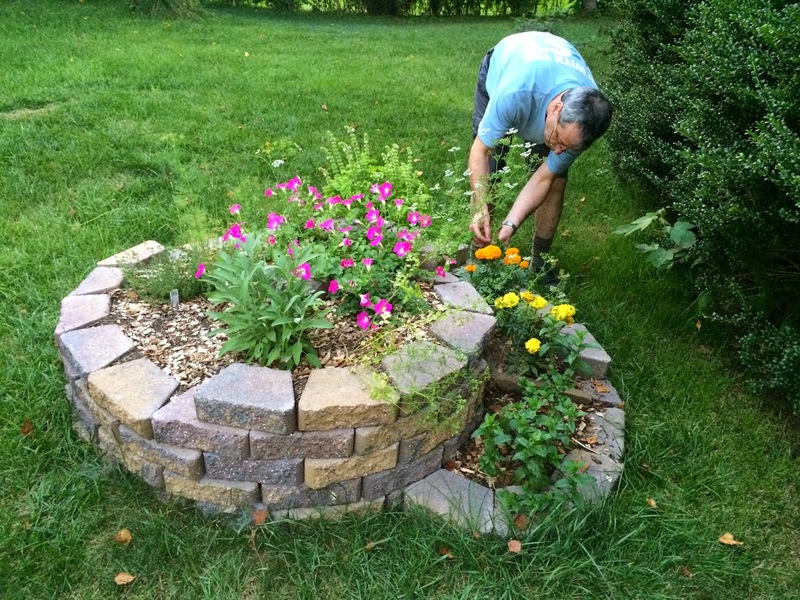 It’s a low-maintenance, high-yield system that is visually appealing. 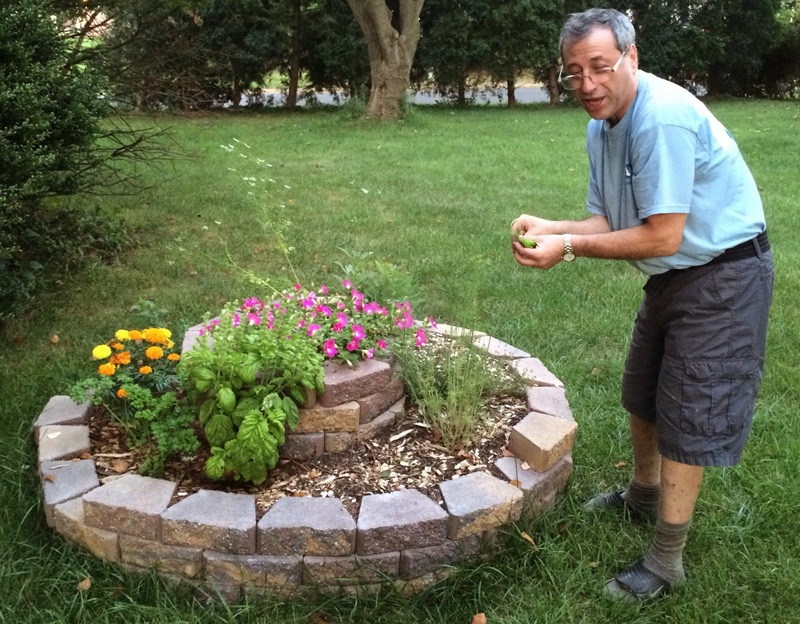 They may not be ideal for large-scale production, but they’re ideal for home-scale herb gardening. 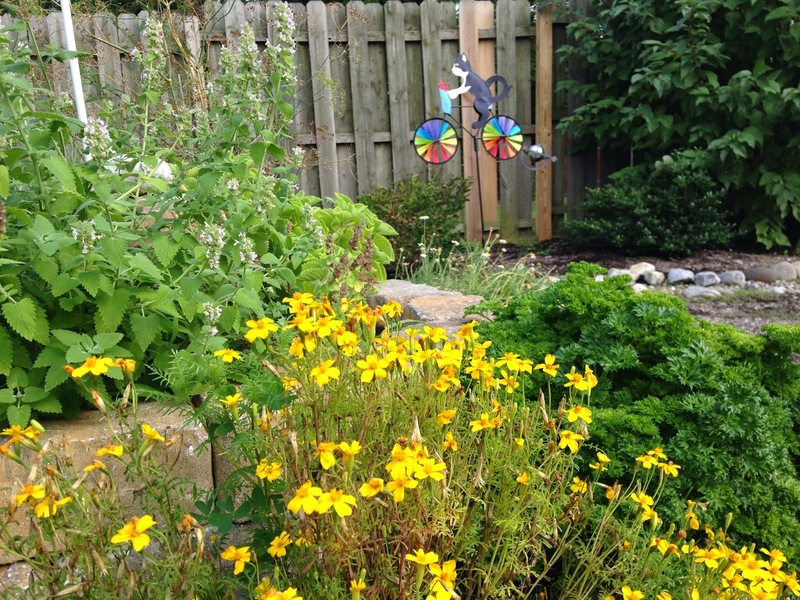 They work by creating microclimates in different parts of the garden. The spiral is higher in the center, which shades the northern side of the spiral. 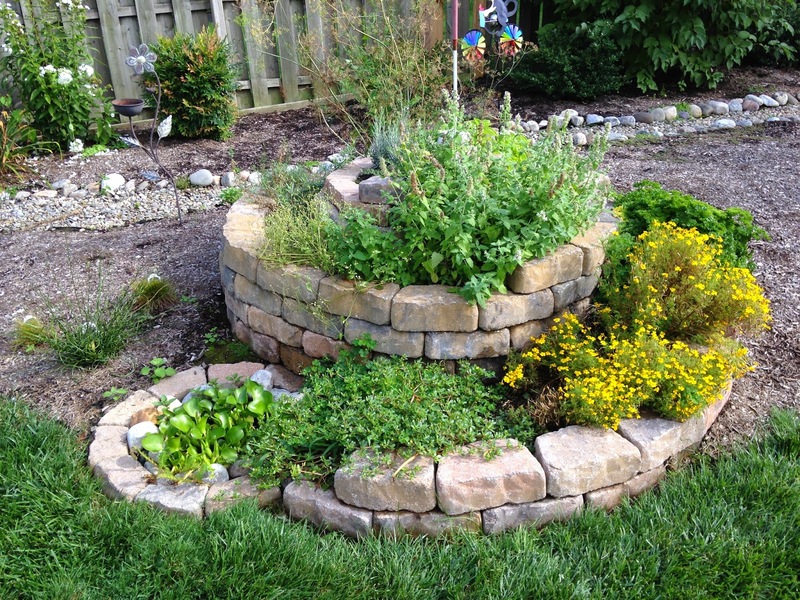 Water flows down the garden, so the center/top is drier, while the bottom is wetter. 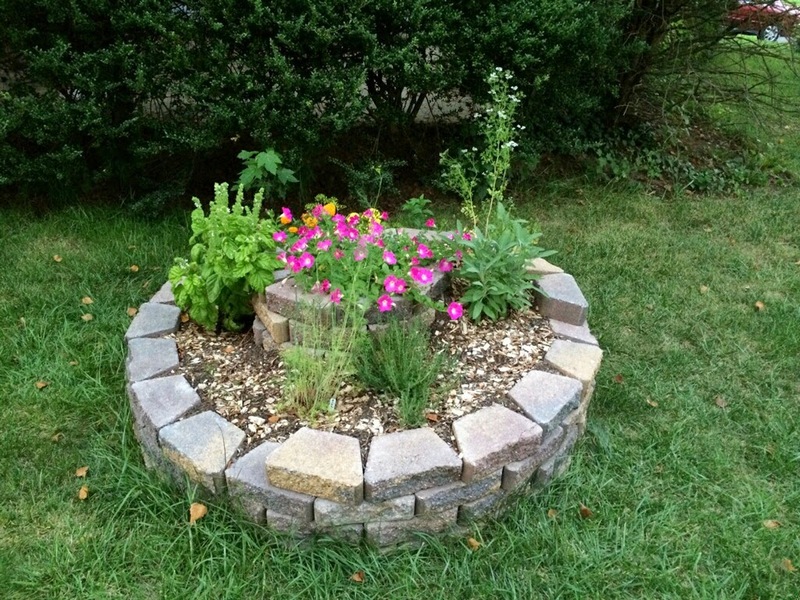 This allows you to plant herbs that like a variety of conditions, all in the same spot. It’s best to put a garden like this as close to the kitchen as possible, so you can step outside to pick fresh herbs to use in the kitchen. 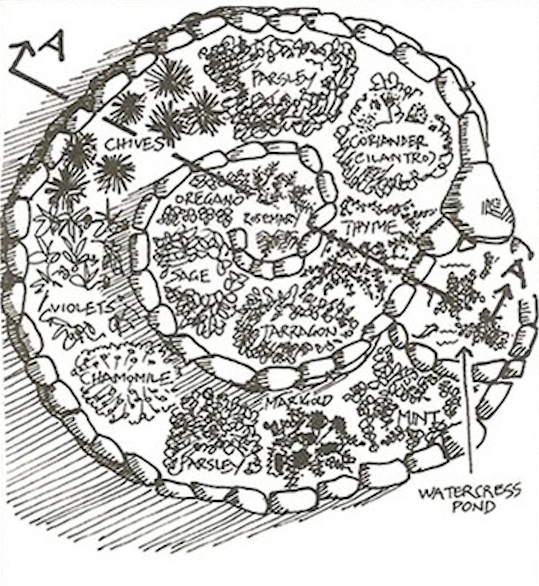 You can even add a pond to the bottom of the herb spiral for growing water plants. 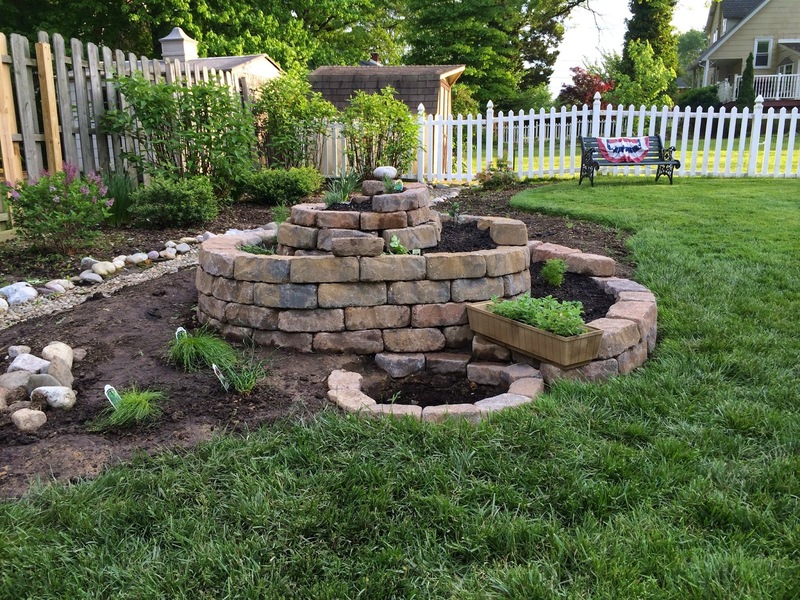 The client wanted this installation to look aesthetically pleasing, and match the landscaping bricks that lined the other gardens in the yard. 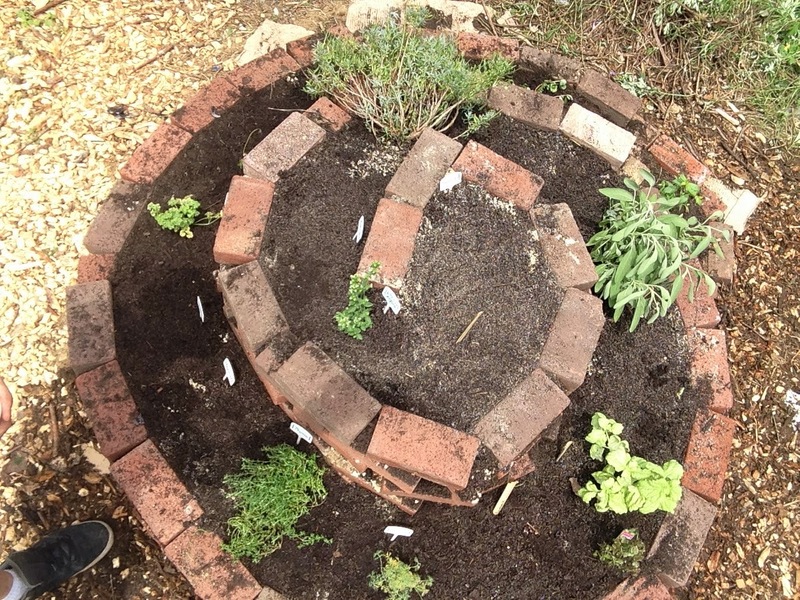 Early September and the herb spiral is exploding with life. Water hyacynth, purslane, marigold, parsley, thyme, chamomille, dill, catnip, lavendar, tarragon, oregano and rosemary. 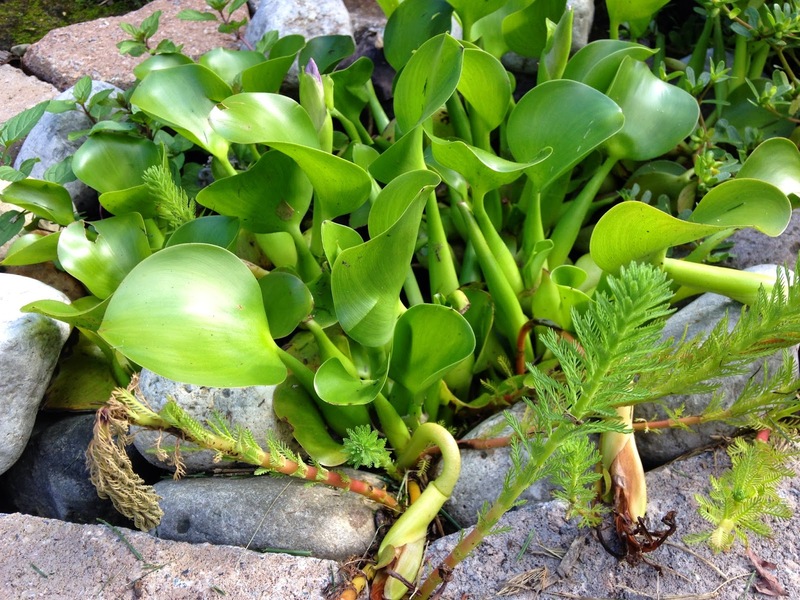 Water hyacynth, parrot’s feather, and water peppermint in the small pond. Immediately after construction and transplanting herbs. Didn’t have anything in the pond at first. For this spiral, aesthetics was a priority. 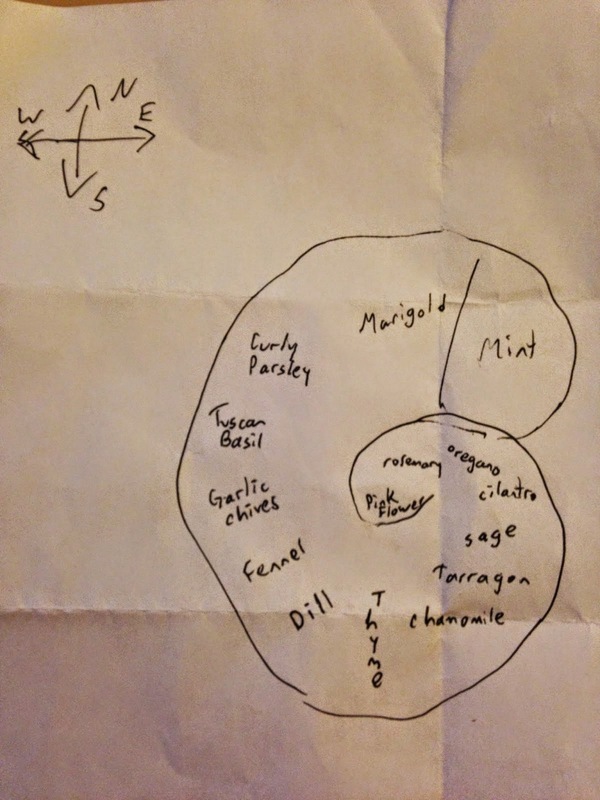 Eugene picks mint for tea, and basil for salads. 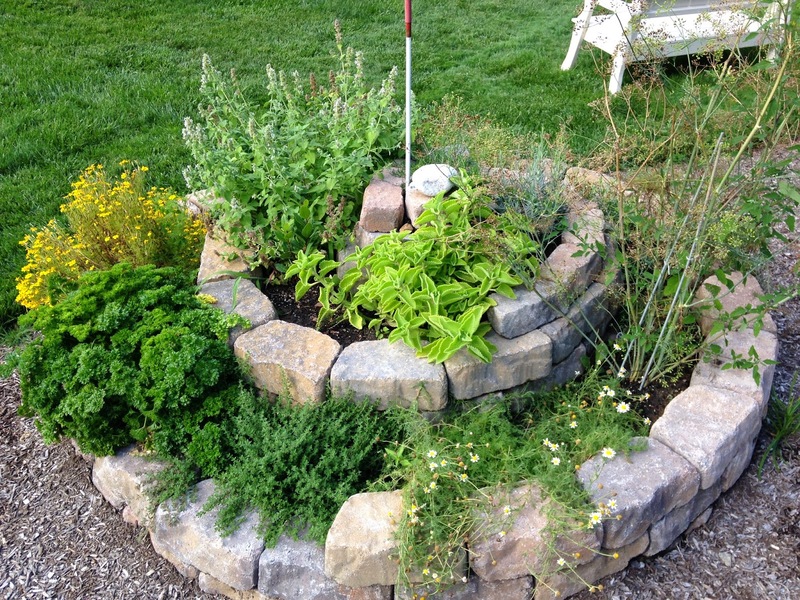 I planted mint, marigold, curly parsley, tuscan basil, garlic chives, fennel, dill, thyme, chamomille, tarragon, sage, cilantro, oregano, rosemary, and a pretty pink flower in the top center. 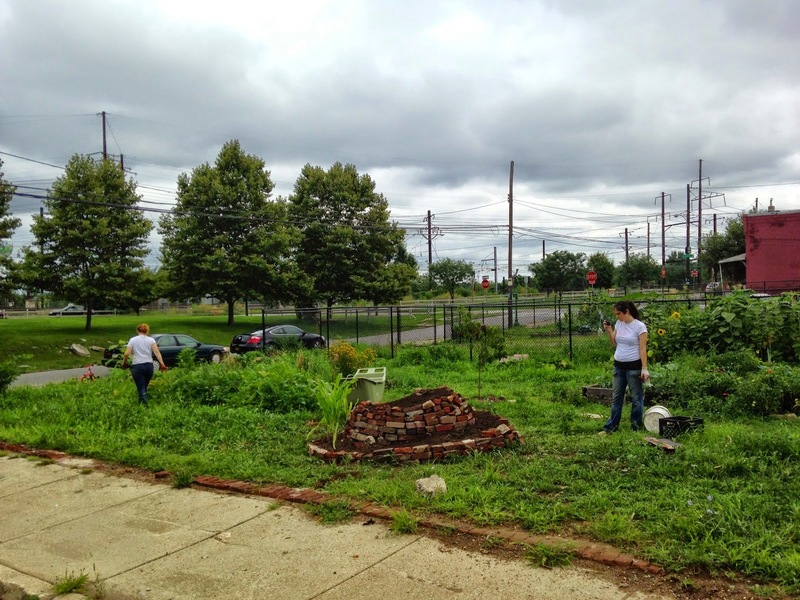 The Gandhi Garden in downtown Trenton, NJ is a community garden built by the SAGE coallition. 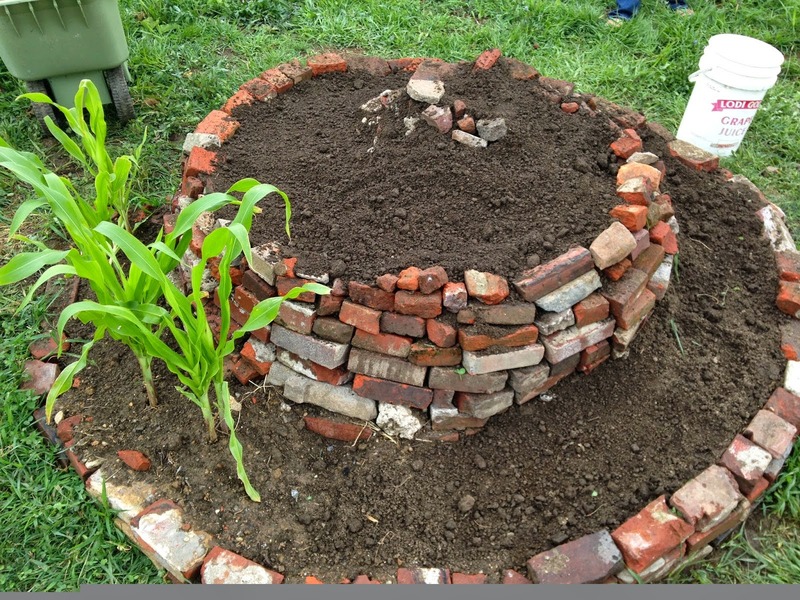 They had reclaimed bricks, and donated soil, so this was a cheap build. This had sage, basil, lavendar, oregano, thyme, calendula, chia, rosemary, onions, fennel, dill, and purslane. 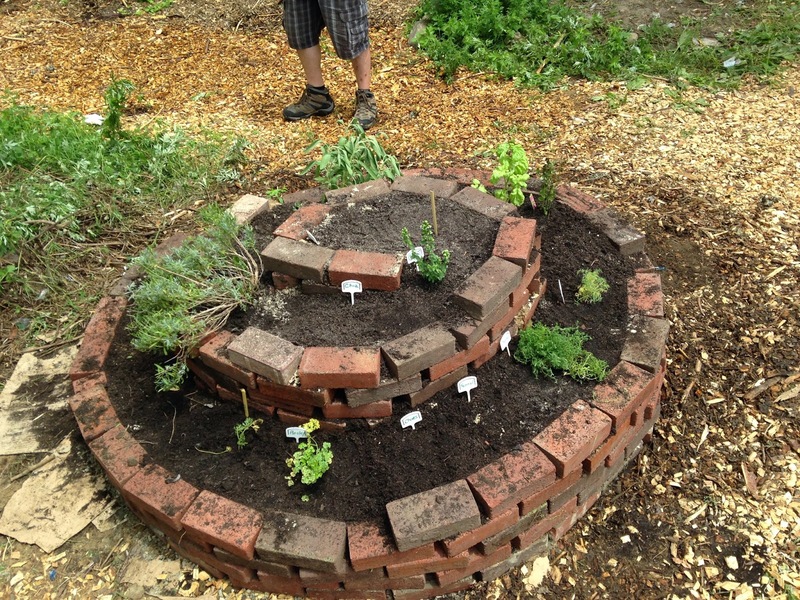 This herb spiral was also built with reclaimed bricks and donated soil. We had corn transplants, and seeded everything else. We transplanted corn, and seeded echinacea, parsley, chives, fennel, letuce, basil, tarragon, cilantro, oregano, lavendar, and rosemary. 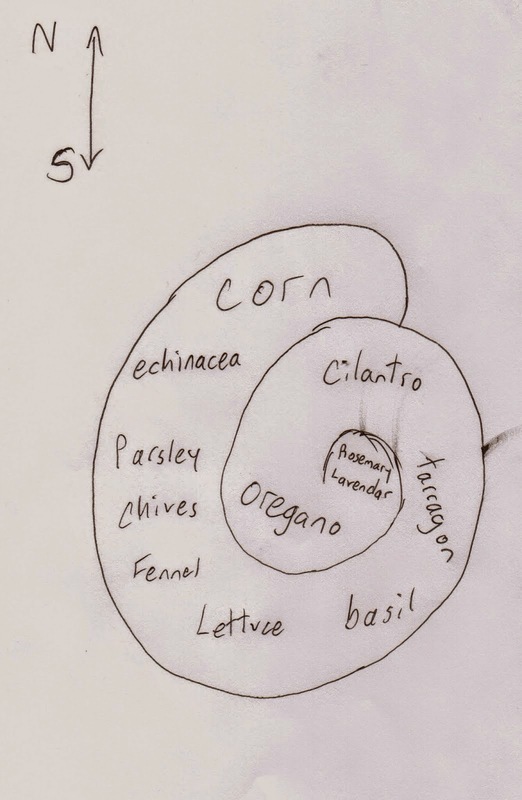 I’m working on an herb spiral info sheet that will have useful information for all the plants I choose from when planting an herb spiral. 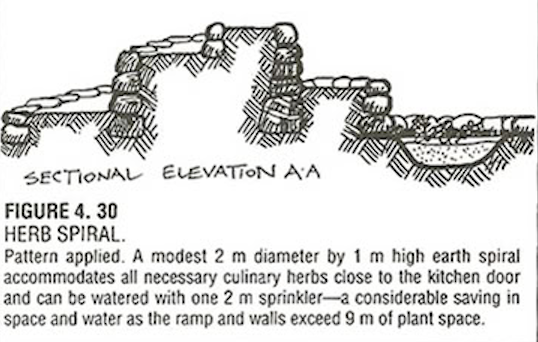 It will include care instructions, harvesting instructions, how to use the herbs, and any other useful info I can think of. Sure! 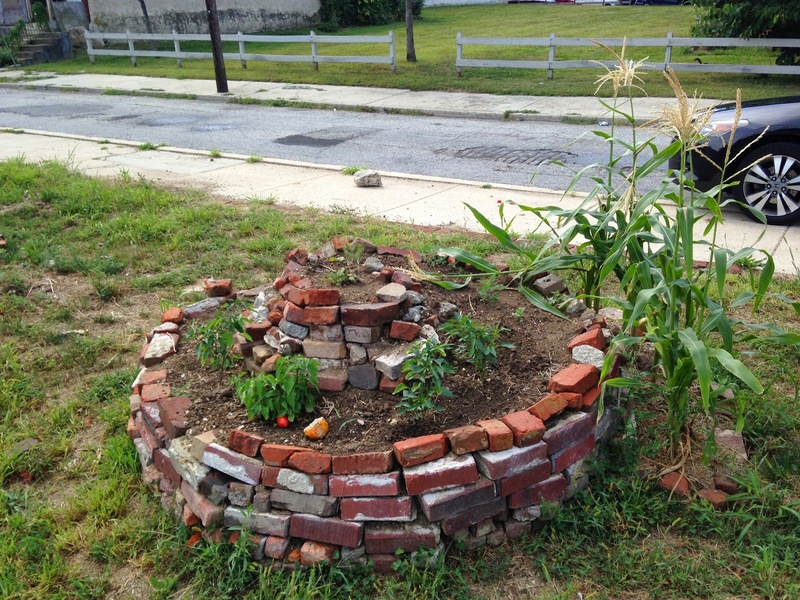 Send me some photos and a description of what you planted, and how you made it!